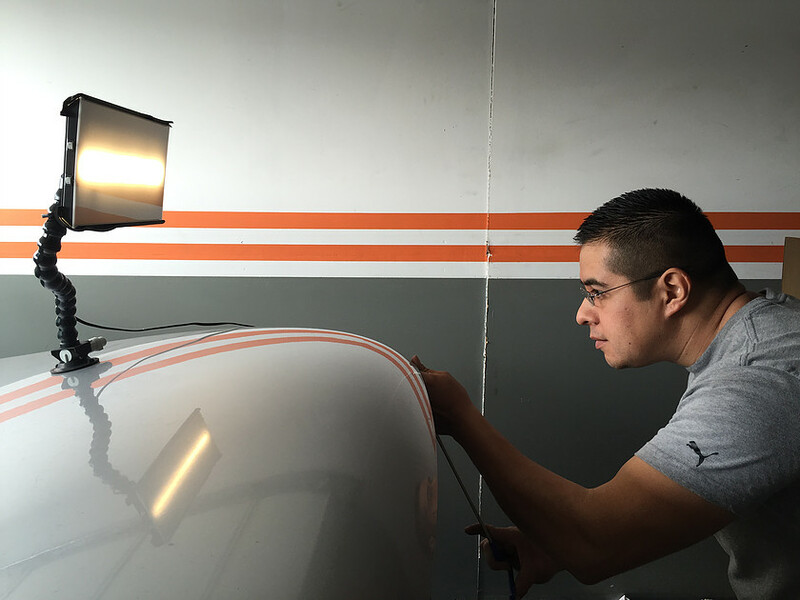 Our PDR expert has many years of an experience in the automotive body, detailing and paint-less dent industry. At San Antonio Dent Pros, we take pride in attaining customer satisfaction on all of our repairs. We guarantee top quality product and service. We provide affordable dent repair service to not only retail customers, we also service rental cars agencies, new & used car dealerships, auto auctions and cars that have endured through hail storms, and other natural calamities. All of our customers appreciate our exceptional quality work at affordable prices. We know you will too! 5 Why Choose Express Dent Removal ? 6 What is PDR Unable to Repair? Our Certified Technician with expertise in the Paintless Dent Removal industry, will remove your door dings, creases and large dents to its original condition, all without the need to re-paint your vehicle. No sanding, body fillers or repainting is necessary, thus maintaining the integrity and value of your vehicles’ original paint and finish. Our services are cost effective and convenient, meaning we save you time & money! Send us a text or email with photos of your damage and we will send you a FREE quote. We come out to your location (home or office) work can be done indoors or outdoors (weather permitting), or you can come to our location at your earliest convenience. Most repairs can be completed in less than 1 hour. Why Choose Express Dent Removal ? What is PDR Unable to Repair? Despite the fantastic results PDR (Paintless Dent Removal) can achieve, it does have its limitations. If the paint has been compromised then it falls under the category of bodywork.